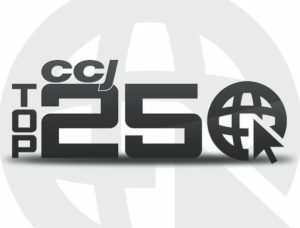 LAKE SUCCESS, N.Y., November 26, 2018 — Transervice Logistics Inc., has been named to Commercial Carrier Journal’s 2018 CCJ Top 250 list, the transportation industry’s most comprehensive ranking of for-hire carriers. Rankings from high to low are based on revenues posted by a trucking company, its fleet size and driver employment base, with a score assigned to each category to determine the final ranking. Transervice placed #214 nationwide.